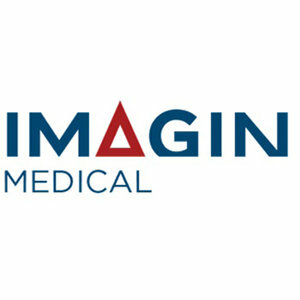 Imagin Medical (CSE:IME; OTCQB:IMEXF; Frankfurt & Stuttgart Symbol:DPD2) named Dr. Ashish Kamat to its scientific advisory board. Dr. Kamat has been named by Expertscape as the world’s top-rated expert in urinary bladder neoplasms. He has extensive experience with cystoscopic procedures, has been a principal investigator for multiple oncology and urology clinical studies for both drugs and devices, and has been involved in blue light cystoscopy studies since 2007. Dr. Kamat is an endowed professor of urologic oncology and cancer research at University of Texas MD Anderson Cancer Center; associate cancer center director at RFHNH in Mumbai, and president of International Bladder Cancer Group and International Bladder Cancer Network. He is associate editor for European Urology Oncology, directed the MDACC Urologic Oncology Fellowship from 2005-to-2016, and is an alumnus of the American Urological Association leadership program. “The advent of enhanced cystoscopy, especially photodynamic diagnosis, has provided us with a means to better detect, diagnose and treat our patients who have bladder cancer,” Dr. Kamat, said in a statement. “The technology being developed by the team at Imagin has the potential to allow this technology to be adopted by many centers, which currently are not able to do so,” he added. Jim Hutchens, Imagin’s president and CEO, said Dr. Kamat has extensive experience with cystoscopy, so his expertise will be invaluable as the company progresses the development of its i/Blue Imaging System.